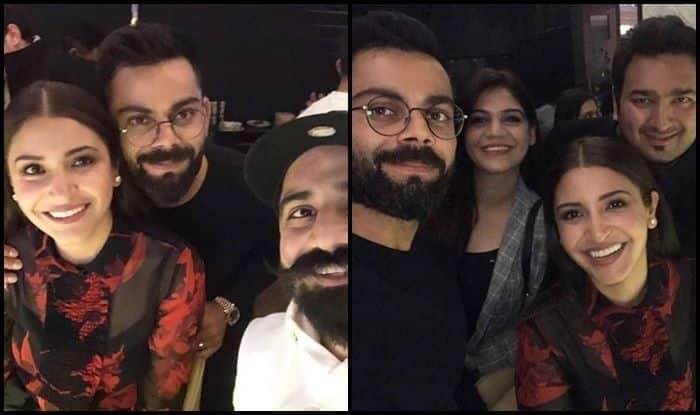 Valentine's Day 2019: India skipper Virat Kohli and his wife Anushka Sharma celebrated the Valentine's Day in Delhi with friends. Valentine’s Day 2019: India skipper Virat Kohli and his wife Anushka Sharma celebrated the Valentine’s Day in Delhi with friends. It looks like the most celebrated couple in the country had a great time with their friends for company. The party was held at Virat Kohli’s restaurant Nueva. The couple recently returned from New Zealand where India was on tour. Anushka Sharma was with the Indian captain during the series. The Bollywood starlet was also spotted at grounds in Australia and New Zealand rooting for the Men in Blue.